Despite its proximity to Western Australia, there aren’t too many Cambodian influences in Perth, but Northbridge restaurant My Bayon is paving the way for Asian-fusion eats around town. Named after Siem Reap’s Bayon temple (known as the smiling temple), My Bayon is a family business based on a whole lot of love for Cambodian food and culture, and it shows. Using generations-old recipes, every dish that leaves the kitchen is cooked with love and the flavours are authentic—a home cooking style known as Khmer. While you’ll taste smatterings of Thai and Vietnamese influence, the food here is distinctly Cambodian. Head chef and co-owner Vireak Vou grew up in the family kitchen in Cambodia, before his family moved to Darwin—another huge influence on his cooking thanks to the melting pot of cuisines dished up at Darwin’s Mindil Beach Market. The menu is extensive and features little bites to hearty dishes, all perfect for sharing. The mini fried spring rolls served with sweet and sour sauce and the char-grilled beef satay are the perfect snack-sized starters to get you going. You may have eaten spring rolls and satay before, but we can guarantee you haven’t eaten them like this. From the first bite you’ll notice the Cambodian influence. For mains you can’t go past a curry. Their barramundi Ah Mok curry has a coconut base and is steamed in a banana leaf with special spices and kaffir lime leaves. 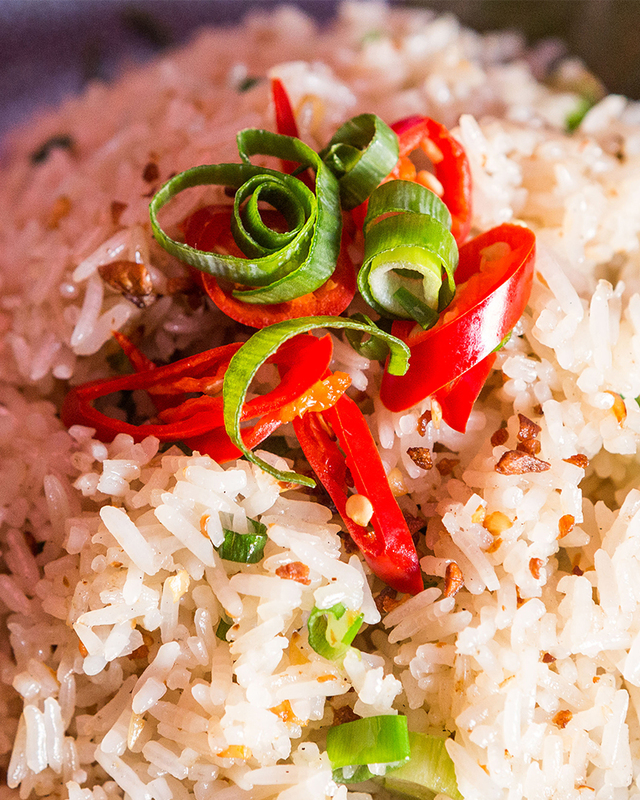 A side of garlic fried rice makes for the perfect combination. There are plenty of vegetarian options on offer, and the team will edit certain dishes to make them vegan upon request. The Kmher-style green curry and char kreoung are a must—pay special attention to the kroeung sauce made with lemongrass, garlic, turmeric, galangal and kaffir lime leaves. For a bit of zest, order the Khmer citrus cured beef salad. 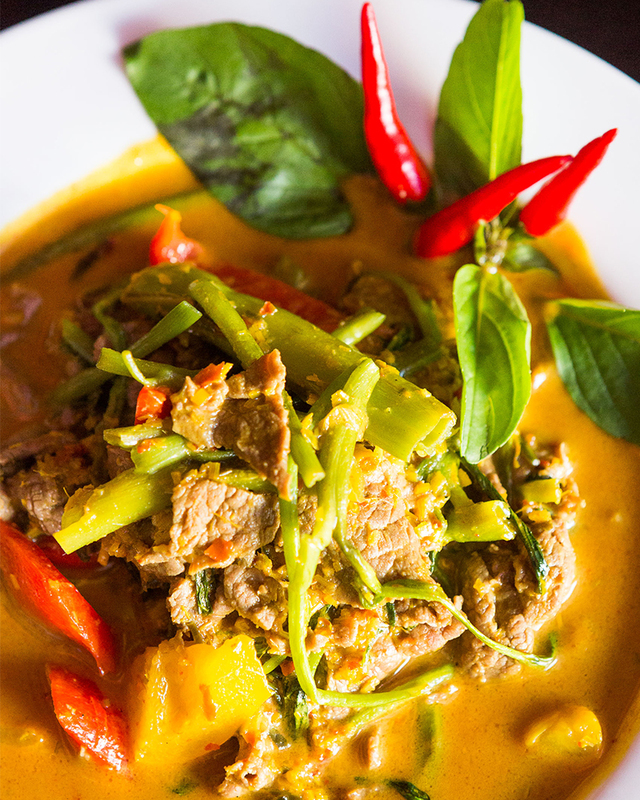 Cured in lime juice, the beef sits atop a mix of snake beans, bean sprouts, lemongrass, peanuts, capsicum, onion, fried shallots and Asian herbs and is smothered in a citrusy sauce. When it comes to dessert there are two options, mango and sticky rice or a banana split, either way you can’t go wrong. My Bayon has partnered with Awareness Cambodia and Angkor Hospital for Children to give back to the Cambodian community and $1 from every Angkor Beer and Ah Mok curry are donated to charity. Plus, if you check in on Facebook and review My Bayon they’ll donate a further $1. 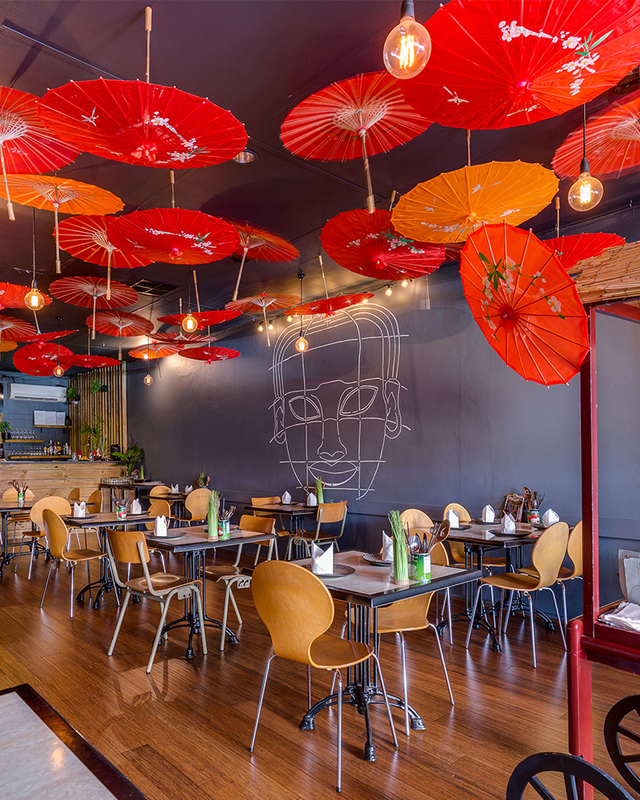 Decorated with brightly coloured parasols and dim lighting, you’ll find My Bayon behind a bright red door on William Street. Looking for more places to hit up in Perth? Click here.